ARE YOU A SENIOR MANAGER WITH YOUR BUSINESS? New Legislation has come in for Accessibility DID YOU KNOW YOU ARE RESPONSIBLE FOR ensuring that your organizations meet the mandated accessibility standards under the AODA and as a senior manager, would provide ongoing leadership, support, information, and training. Accessibility is more than wheelchair access. Consider website for visual impaired; phones for hearing impaired and much more. Is your business in compliance with AODA? 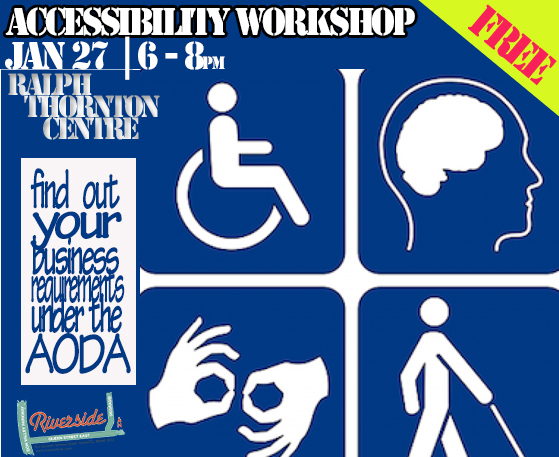 Plan to attend – Jan 27th – 6-8pm for an Accessibility Workshop . A clear understanding of what you need to do to comply with the AODA. Marissa Maislin and Michelle Organ had an idea to open a “makerspace” that offers tools and a work space for artisans and other creative workers. Thanks to the Starter Company program and a loan from Futurpreneur, the pair are well on their way to making it work. Enterprise Toronto will launch its Entrepreneur Mentoring Program in spring of 2015 and is looking to recruit skilled mentors. The new program will complement its other new initiatives for entrepreneurs, including an online training platform and the Business Plan Boot Camp andHow to Start a Business Series. The 3rd Annual Multiplicity Power Up Sales Challenge will take place on Thursday, January 22. Startups selected will compete for a prize package and services valued at over $20,000. Dragons’ Den gives aspiring entrepreneurs the opportunity to pitch their businesses to a panel of wealthy Canadian business moguls. Auditions for upcoming shows are now open online. Click below for further information! Dimensions Framing – Call to Artists! Interested in exhibiting your work in our gallery? Our Queen/Saulter library now has a facebook page – please visit here to like it – keep up to date with what is happening at our branch. 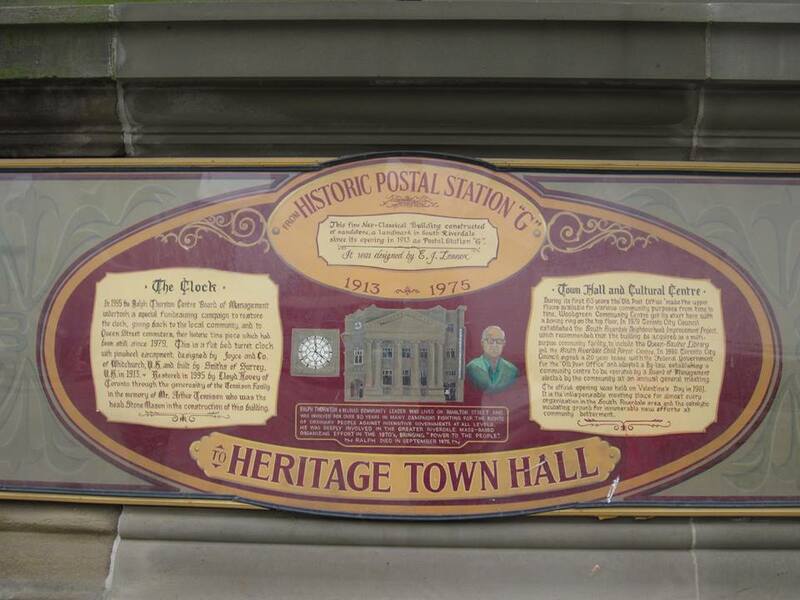 Please drop us a line at office@riverside-to.com if you have any comments or questions. Leslieville Farmers’ Market #SouperBowl fundraiser. Sunday, February 1 from 10am to 2pm.